In today's society, there's no need to browse most beauty stores because you can have some of the newest, most exclusive beauty items delivered to your doorstep. 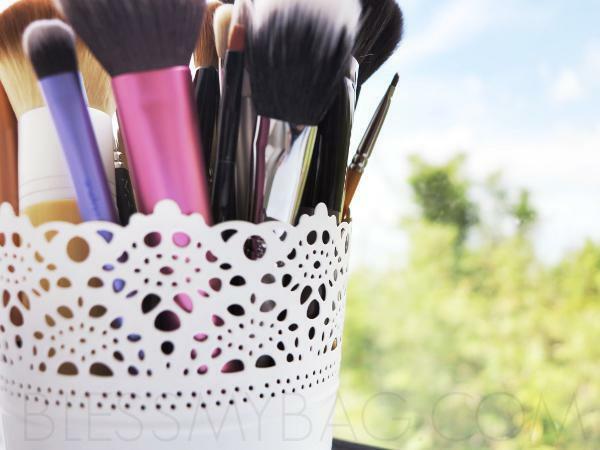 With monthly beauty subscriptions rising on the scene, you have the ability to have some of the newest items in your hands even before most consumers. If you're a beauty lover like myself, then this is great, but as I saw with my first beauty subscription, not all of these subscriptions are geared towards women of color. When Brittney, founder of My Brown Box, realized the need for this, she took action. She chose to create My Brown Box. I wanted to take the time to learn more about Brittney and My Brown Box so I recently interviewed her. FabEllis: Before we take time to learn more about My Brown Box, I know my readers would love to learn more about you. Share with us, Brittney, a little history on where you’re from, your interests and aspirations. Brittney: Well let’s see… I’m a small town girl with big city dreams. I was born and raised in Michigan. I love it here, but I’d eventually like to get lost in a big city that’s known for its bright lights and skyscrapers. I guess you can call me a dreamer. I consider myself to be open-minded, so I have a lot of different interests but everything is closely related- I live for creativity, passion, and self-expression. Those three things fuel my being, and those who know me know that I seek inspiration daily. My brother inspires me and I aspire to inspire others. I love fashion, people watching, nail polish, bright lipstick and buying books and magazines (that I never finish), in fact I just purchased the Fall Fashion Issue of Jones Magazine and The Vogue September Issue. Talk about excitement! FabEllis: Thanks for allowing us to get to know more about you! Now, the buzz around My Brown Box is growing rapidly within the social media spectrum. For those who are unfamiliar with My Brown Box or curious to know more, please share with us what My Brown Box exactly is. Brittney: Yes, the buzz is growing quite rapidly! My BrownBox is the woman of color’s guide to discover all things beauty, luxury and lifestyle. Each month we send our members a chic box containing 5-6 beauty and lifestyle products that complement their natural beauty and personal style. These goodies will span categories of makeup, skincare, nail care, body care, fragrances, grooming tools and other lifestyle goods. It’s like having a birthday celebration every month! FabEllis: What inspired you to create My Brown Box? Brittney: I was inspired to create My BrownBox when I heard about Birchbox, which is a subscription beauty service for women, but not specifically women of color. I subscribed to Birchbox, and when I received my first box I was disappointed because most of the products did not complement my skin complexion or hair texture. I immediately thought to myself, “what if I created a box that caters to women of color?”- Something that complements our natural beauty and overall lifestyle. I was extremely excited and began working on My BrownBox a week later! FabEllis: I noticed that along with Facebook and Twitter, My Brown Box has a blog. I love the variety that you all share on this platform! I did notice that there are several images of models and fashionistas. How will My Brown Box resonate with women in the fashion world? Brittney: Gee thanks! We have a very fashion forward team that loves to share their latest fashion finds with our viewers. We believe that fashion is about more than runway trends and designer labels. Instead we focus on sharing realistic ways for Brown Beauties to incorporate the latest fashions into her every day lifestyle. By the way, we can’t wait to add you to our collection of fashionistas and you must take us thrifting with you! FabEllis: I have noticed several shots of natural haired women on your company’s Instagram. Do you have natural hair? If so, please share with us your natural hair story. Brittney: Yes, I do have natural hair. I’m a 3c! I began my natural hair journey in April 2009. My friend Krystall convinced me to ‘go natural’ during my junior year of college. I remember we were in my dorm room at Michigan State University, when she tried a bantu-knot out on my still relaxed hair. 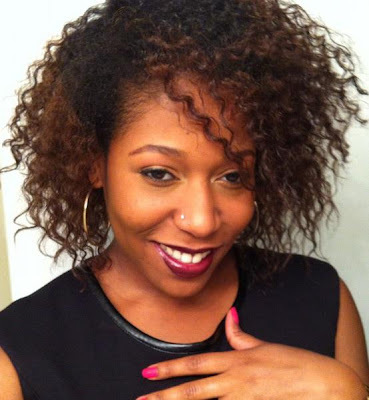 It was so cute, and I knew that going natural was the best way for me to achieve this style on a regular basis. I began my journey by getting my hair cut into a long bob. This was the only way I felt comfortable having a large amount of relaxed hair removed without doing the big chop. I couldn’t imagine parting ways with all of my precious locs. From there, I became a regular customer at a hair salon on campus. With every appointment I’d request that they remove more of my relaxer. It was scary. But with time and much patience I finally was au naturale. It was definitely a journey, but I love having this story to tell! FabEllis: Lastly, when can we expect My Brown Box to launch? How can people stay in the loop of what My Brown Box is doing? Brittney: Ladies can expect for My BrownBox to launch in early Spring 2013. However, our team thinks that we should do a surprise launch... 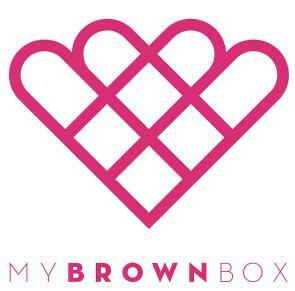 I love surprises, so I suggest that everyone signs up to be notified when we officially launch at www.mybrownbox.com. Thank you again to Brittney from My Brown Box for the opportunity to interview her! I hope you all enjoyed learning about My Brown Box and be sure to sign up to stay in the know! Great interview! I have been seeing My Brown Box buzz everywhere!! Can't wait for it to launch. I had been holding back from signing up for Birchbox and theCurlBox because I wasn't quite sure if those were for me. This box sounds more like something I'd want to subscribe to. Thanks for the info! I love this and cannot wait for it to launch. Thanks for this. As a current Birchbox and MyGlam subcriber, I'm looking forward to what My Brown Box has to offer! Where have I been? I have never heard of My Brown Box until now. Great interview Ashley. I am currently a subscriber to Birchbox, CurlBox and MyGlam, so I will be definately checking out My Brown Box. Great feature/interview... I look forward to seeing and hearing great things about My Brown Box!!!! Thanks for sharing! Very cool! Glad you were able to get the interview and inform us about this special opportunity! Loved learning more about one of our latest FASH DET Members! Great interview, I'm now following her on twitter!